Viviani was the day's fastest rider. The Cadel Evans Great Ocean Road Race commenced and finished in the harbour city of Geelong, south-west of Melbourne. The first 100km of the 163km-long course took the riders around a large loop around the coastal areas of Barwon Heads, Torquay and Bells Beach. The finale featured three hilly loops around Geelong. Not long after the start, three riders distanced themselves from the main field and quickly pedalled out an advantage of more than 4 minutes. Already at the 100km to go mark, BORA-hansgrohe rider Michael Schwarzmann was active at the head of the peloton as the team took over the pace setting. On the first climb of the 1km-long and up to 22 percent steep Challambra Cresent, one of the breakaway riders was dropped. Two riders then broke free from the group and took chase after the remaining two riders out in front. After the third passage through the finish line, the race then entered the business end. 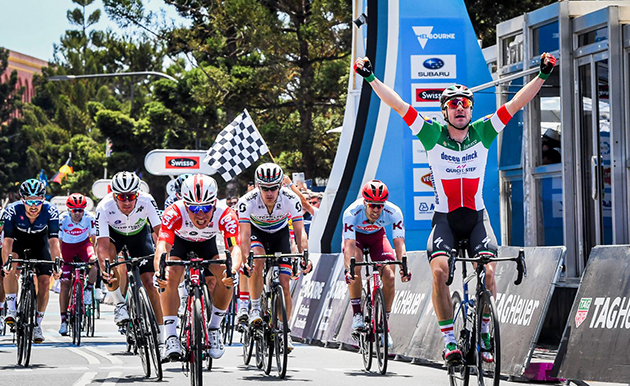 D. Ballerini led solo, with BORA – hansgrohe, with Lukas Pöstlberger and Maciej Bodnar, coming to the front once again to force the tempo, and the soloist was reled back in with 9km remaining. A series of attacks followed, and riders constantly tried to push to the front of the field. 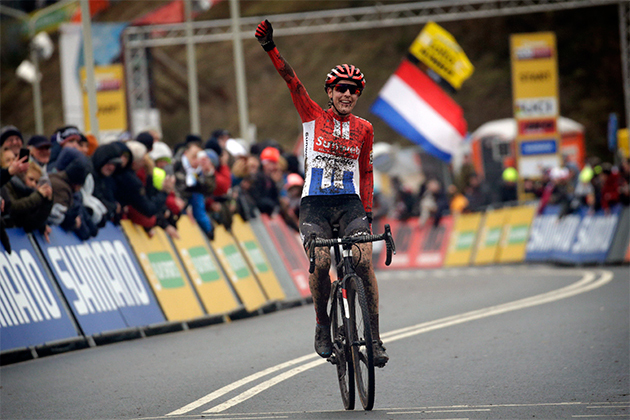 Daniel Oss was able to neutralise several attacks in the final kilometres, however, in the end, E. Viviani put in a strong finish to take the victory. Last year’s winner Jay McCarthy finished in 8th position.